McAllen is nicknamed the “City of Palms” and is home to over 100,000 people. McAllen is also the retail center of the Rio Grande Valley bringing in over 10 million shoppers every year. 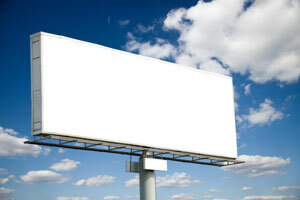 This creates a huge market for effective advertising opportunity. Any out-of-home advertising near the numerous shopping centers in McAllen, such as La Plaza Mall, would expose your business to locals and tourists alike. Attractions like the Rio Grande Speedway and the International Museum of Art and Science also offer the opportunity to advertise and target your audience. The major highways can also be utilized with billboards on U.S. 83. Zip Codes: 78501, 78502, 78503, 78504, 78505.